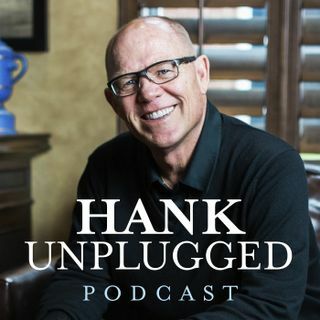 This week, Hank is joined on Hank Unplugged for the second time by Middle East expert Raymond Ibrahim to continue their discussion on the importance of being educated about the truth of Islam. There is no doubt that we are in a clash of civilizations and it’s vital for Christians to know the truth about the world’s fastest-growing religion. Topics discussed include: is ISIS merely a sign of Islamic history repeating itself? (1:30); a priori conclusions about Islam based on wishful thinking ... See More (11:00); the current condition of the Islamic State (17:00); how the Protestant Reformation helped Islam grow in size and perception (24:00); how the academic issue of publish-or-perish propagates false history of Islam (31:00); the reason that liberals tend to embrace Islam and oppose Christianity (36:00); the unwavering continuity of Islam (40:30); the West self-destructing from within (51:00); the issue of U.S. ally Saudi Arabia practicing the ISIS version of literal Islam (53:30); the irony of calls for Islamic reformation (57:00); why focusing on ISIS alone is missing the real problem (1:02:30); will terrorist attacks continue to escalate? (1:05:00); the hypocrisy of politicians like Hillary Clinton consistently supporting Saudi Arabia (1:08:30); the robust Christian message necessary for migrant Muslims to find Christ (1:16:30); the tribal nature of Islamic culture (1:21:00); the mass genocide of Christians in the East depicted in Ibrahim’s book Crucified Again (1:25:00).